Choosing the right cookware just got easier! If the handle on your favorite pot keeps coming loose or the bottom of a beloved pan is warped, it’s time to head to the store. The good news is that if you haven’t been in the market lately, you’ll find better-quality choices at every price range. A frying pan is flat and shallow so food cooks quickly in a small amount of fat — perfect for quick sautes. A stock pot is tall but not wide, so liquids evaporate slowly. Use it to create flavorful soups and stocks. A saucepan is usually as tall as it is wide, good for making sauces and intensifying flavors. Each metal has advantages — here’s the rundown. Pros: Durable, easy to clean, attractive. Good for boiling foods like seafood and pasta. Cons: Conducts heat poorly. Instead pick cladded stainless steel — a core of either aluminum, copper, or a combination of the two, sheathed in stainless. A copper or aluminum disk on the bottom is a cheaper alternative. Options: Sets (7 to 10 pieces): Farberware, from $70; Cuisinart, from $260; All-Clad, from $300. Pros: Heats up and cools down rapidly; cooks evenly. Ideal for delicate sauces. Cons: Expensive, heavy, and high maintenance. Care: Hand wash; the exterior must be polished regularly to retain its coppery glow. Options: Bourgeat saucepan, $130. Look for stainless steel interiors, which will last longer than tin. Pros: Heats up and cools down fast; cooks evenly. Works well in nonstick pans. Cons: Reacts with foods high in acids (tomatoes), sulfur (eggs, onions), and alkaline (cabbage), causing discoloration of food and cookware. Dents, scratches, and warps easily. Anodized aluminum — treated with an electrically charged solution — won’t warp, dent or scratch, or react with foods. Options: Calphalon set, from $200 (10 pieces); Lincoln Wearever 9-quart stock pot, $56. Pros: Heats evenly and holds it extremely well. Great for grilling, searing, frying, and making stews. Inexpensive. Cons: Slow to heat and cool down; heavy. Can rust and pit. Care: Hand wash. To prevent rust, “season” new cookware: Coat with canola or peanut oil and heat; “reseason” once a year. 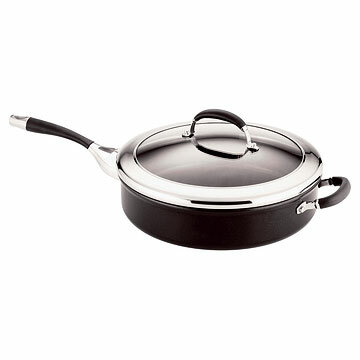 Options: Lodge frying pan, griddle, Dutch oven, from $9 to $47. Pros: Heats evenly and holds heat; excellent for stews and slow-cooked meats; moves handily from oven or range to table. Attractive glass-like enamel coating fused to cast-iron surface comes in many colors. Cons: Expensive; heavy; can chip. Options: Le Creuset Dutch ovens, from $70, frying pans, from $50, baking dishes, from $120. The issue surrounds perfluorooctanoic acid (PFOA) — a compound used in making Teflon, T-FAL, and other nonstick surfaces. 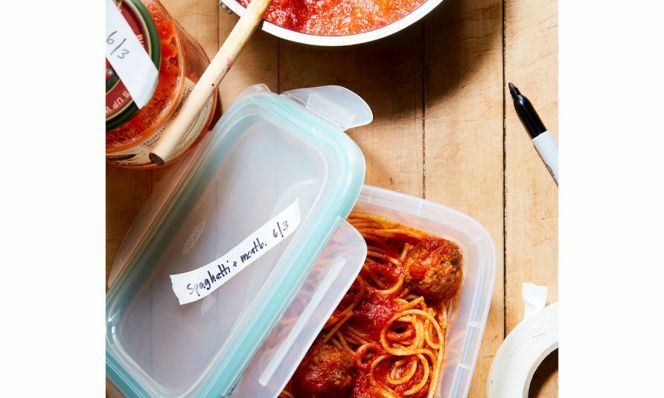 While PFOA is being investigated as a possible carcinogen by the U.S. Environmental Protection Agency, the FDA has& analyzed nonstick cookware for residual PFOA and determined that the level is so low that the risk to consumers is negligible, according to Paul Honigfort of the FDA’s Office of Food Additive Safety. Honigfort added that it is important to use the pans properly. Heat the cookware only to the temperature needed and add ingredients right away. Do not leave empty nonstick pans over heat for any length of time. The difference between so-so and sensational is in the details. Visit a store and hold potential purchases before you buy. Cookware should be easy to lift up and feel comfortable in your hand. Look for heft. “Thicker pots and pans hold in heat and are less likely to warp, bend, or dent,” says Sharon Silver, customer service project manager at Bed, Bath & Beyond. Heavy pieces should have two handles or a small “helper” opposite the main one for steady transfer from stovetop to counter. Plastic or wood handles are not recommended if you plan to put the pan in the oven; choose metal instead. Be careful when handling hot pans straight from stovetop or oven. Spiralizer Reviews: What Kind Should You Buy?